Lili Añel (pronounced Ahn-Yell) considers music a calling. The six-foot tall, musical visionary grew up in New York City where she discovered her passion for music. 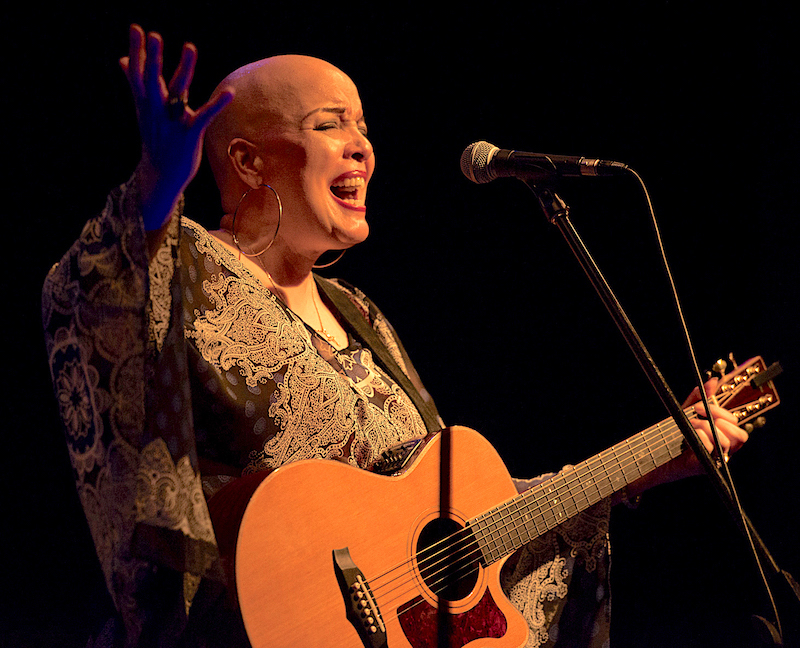 As a child Añel remembers singing along to her mother's Cuban, jazz and pop standard albums. Her mother supported Lili’s desire to join the church choir and her grandfather's recognition of how much joy singing brought to her served to set her feet firmly on the path of a career in music. Currently residing in Philadelphia, Añel returns with her highly-anticipated, latest recording "Another Place, Another Time", an EP of 6 songs, 4 penned by Añel (2 co-written with Barbara Añel, Lili’s sister) and 2 covers. Another Place, Another Time's songs were recorded live with minimal overdubs. "They lent themselves to being more open and having space" says Añel. Inspired by and drawing comparisons to Nina Simone, Joni Mitchell, Lili maintains her own style referring to her music as a hybrid of Jazz/R&B/Folk with a New York edge. Lili Añel once again pushes the boundaries vocally and as a songwriter continuing to electrify her audience as well as attract new fans. 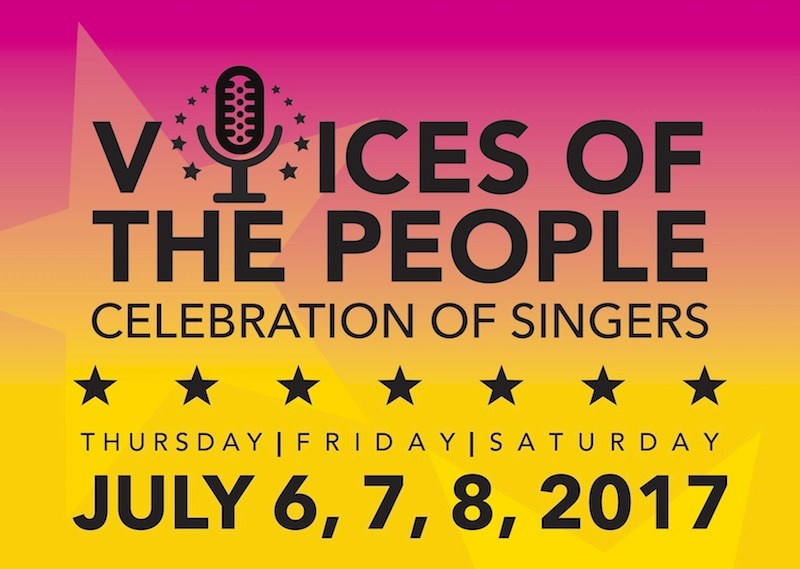 PJP spoke with Lili Añel about her work and the Voices of the People Celebration. 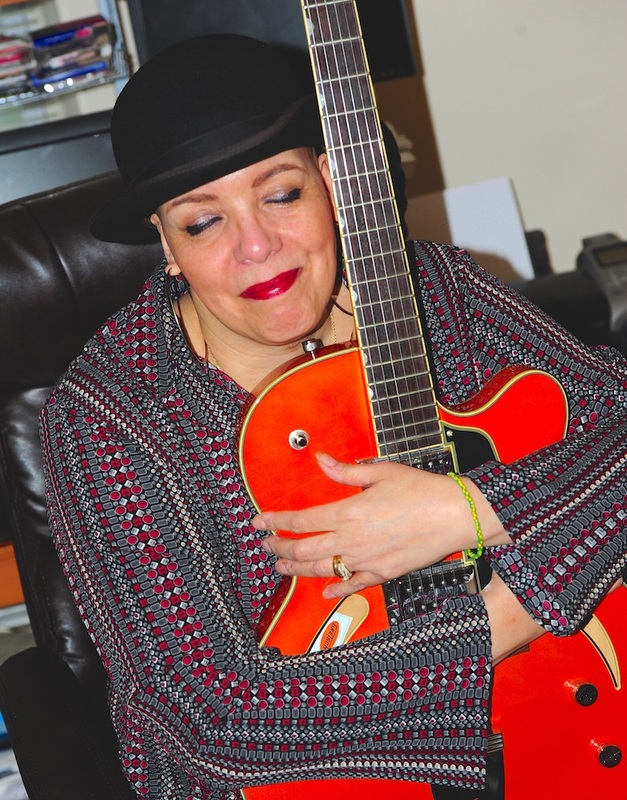 Lili Añel: It’s original music influenced by many directions, with the biggest influence being Jazz. Its like a stew, that has many flavors, with the biggest amount of seasoning being Jazz. Lili Añel: This is a loaded question and if I began to pull it apart, I may answer in a couple of pages, but I will keep it brief as I can. I am influenced by jazz vocalists I heard growing up at home. My Mom played Jazz records. She also played Cuban music. I heard Celia Cruz singing all of the time, and the amazing Orquesta Aragon. She also played traditional African music, drumming with call-and-response chants. Mom played John Coltrane and Gerry Mulligan. The sound of a tenor saxophone was engrained in my brain from a young age. I listened to (and still do) The Beatles and suspect my love of songwriting began there. I listened to Stevie Wonder. When I was a kid I would sing along with “Talking Book”, into the mop, thinking it was a microphone, while I was doing chores. The Loft Jazz scene that was happening in New York when I was in college, was a huge influence. I was fortunate to see many amazing musicians in that time and going to Ali’s Alley, The Lady’s Fort, Barbara’s, Tin Palace. Later on, I went to 7th Avenue South, as often as possible, where I saw Michael Brecker and “Steps Ahead”, Idiot Savant and whatever group configuration Mike played in. While I don’t play the saxophone, when I write melodies and phrase lyrics, a tenor is what I hear in my head. I don’t fall back on anything respecting my “creative approach”, except I will say listening to The Beatles, I learned the importance of writing a bridge in songs. It’s the glue, the cue that let’s you in on what’s really going on. Outside of this, when I write, I write, I can’t give you a definitive approach. Lili Añel: I am extremely flattered and humbled to be included in this event. There is a world of amazing talent and vocalists in Philadelphia. To be chosen as a vocalist for this event is a huge deal for me. Lili Añel: Any opportunity to be heard, as an artist/musician is important. It means you are exposed to the world. For me, the main reason for creating music is to share it and hopefully have an effect on people. Communicating and being heard is paramount. Lili Añel: I will be presenting my point-of-view, be it about love, pushing forward, life observations or just telling my own story. Lili Añel: I try to stay honest with myself. My music, how I present it has come about because of where I come from and the music that influenced me in my life. I’m a native New Yorker. I would like to think my music and point of view contains that edge in content and delivery. As for the new music, I look forward and attempt different things I’ve not done before. I think living in Philadelphia now for 13 years has been very influential. For example, I am extremely proud in receiving feedback from quite a few people that my recordings are all different, that I try different approaches, don’t repeat the same way of approaching songs. Lili Añel: Just listen. Open your ears, your mind, your heart. Lili Añel: Why not Jazz? It’s American music, for one, its open and creative and just great “music”. I believe labels are for cans of food. My music is flavored by various genres from time to time. I think that the “mixing” of it all is what “Jazz” is. It’s not afraid. 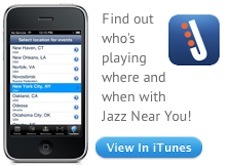 I don’t know that “Jazz” has a definition, although I understand your asking this. To keep abreast of Lili Añel's activities check out her Website, or Facebook Page, Twitter and/or Linkedin.